For years I bought our favorite granola, Breadshop’s “Honey Gone Nuts”, at PCC. It has lots of nuts, hence the name, including almonds, walnuts, and cashews. It’s sweetened with honey and doesn’t have any dried fruit. It was our favorite! Then, for some reason, PCC stopped carrying it. I searched and found it available at amazon.com, so I ordered a case of 6 boxes. 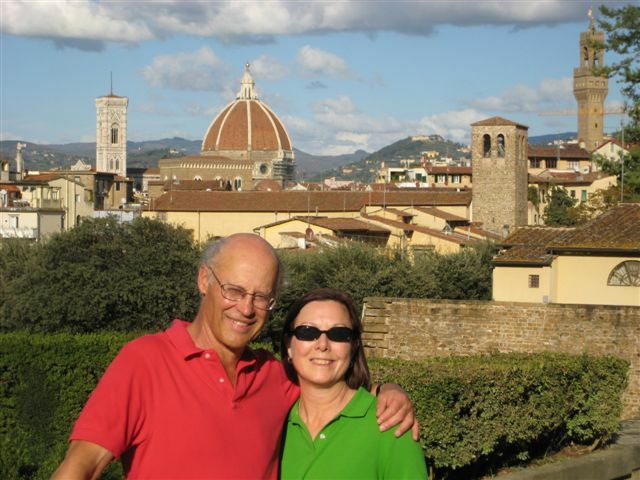 It was good to know we could still get it. We recently ran out of our supply, and I decided to try making my own version instead of ordering it. I must say I’m quite pleased with the way it turned out. 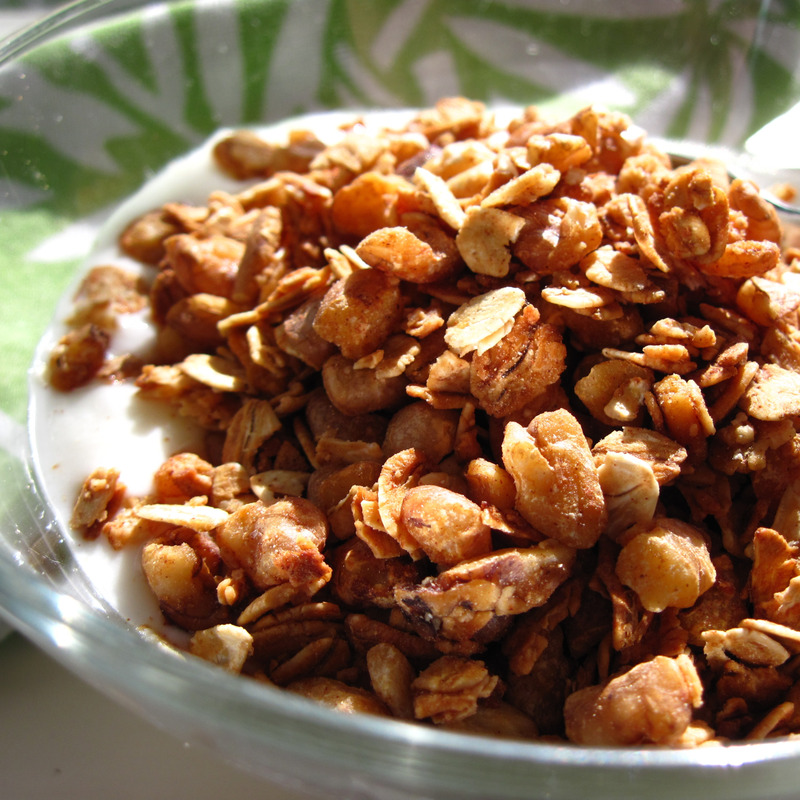 The great thing about making your own granola is that you can truly make it your own! Mark Bittman’s version in Food Matters is called “Anything Goes Granola”. He points out that you can use other rolled grains besides oats, and you can use different nuts. If you like dried fruit in your granola, you can add that, too; just stir in 1 to 1½ cups dried fruit after the granola has baked. Using Mark’s recipe as a guide, I made my “Go Nutty Granola”. He calls for ½ to 1 cup honey or maple syrup. I used ½ cup of honey, which made it subtly sweet. Use more if you like a sweeter granola. 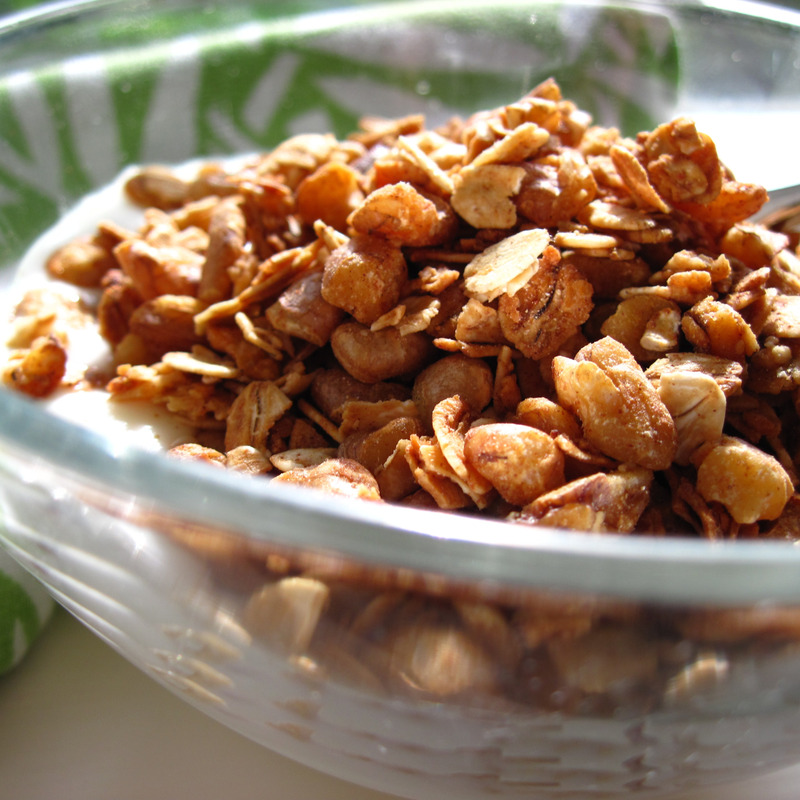 Mark’s granola doesn’t have any added oil, and you can certainly make it without oil. The Breadshop’s Honey Gone Nuts lists canola oil as the third ingredient, right after oats and honey. I decided to add just a bit of oil and used 2 tablespoons coconut oil. You could use canola oil, or omit the oil. I had walnuts to use, but I would also use pecans, almonds, or cashews. So here is Kath’s “Go Nutty Granola”! (Or at least it is this week’s version of my Go Nutty Granola!) It was delicious with yogurt this morning. 1. Heat oven to 350˚. 2. 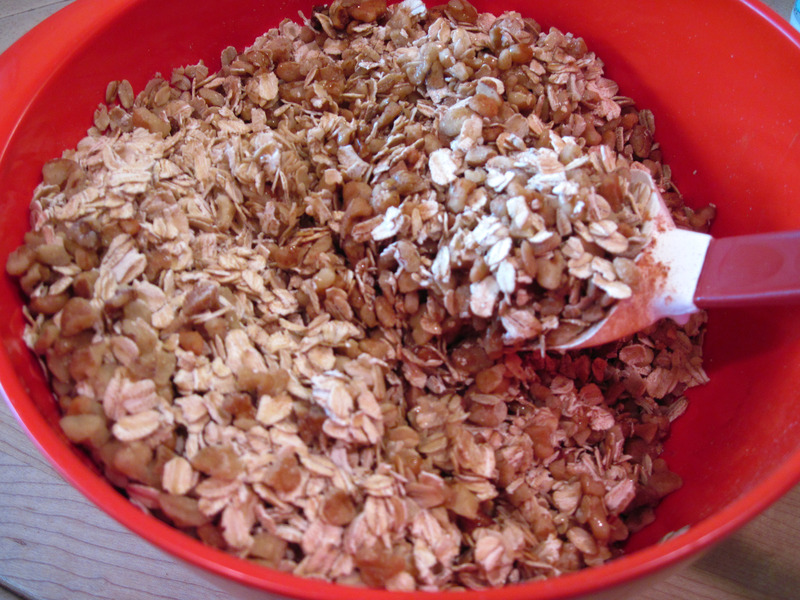 Combine the oats, nuts, sesame seeds and cinnamon in a large bowl. 3. Melt the coconut oil in the microwave oven. 4. Add the honey to the coconut oil and stir together. 5. Pour the honey and oil over the granola and stir well so everything is well-coated. Sprinkle lightly with salt and stir again. 6. 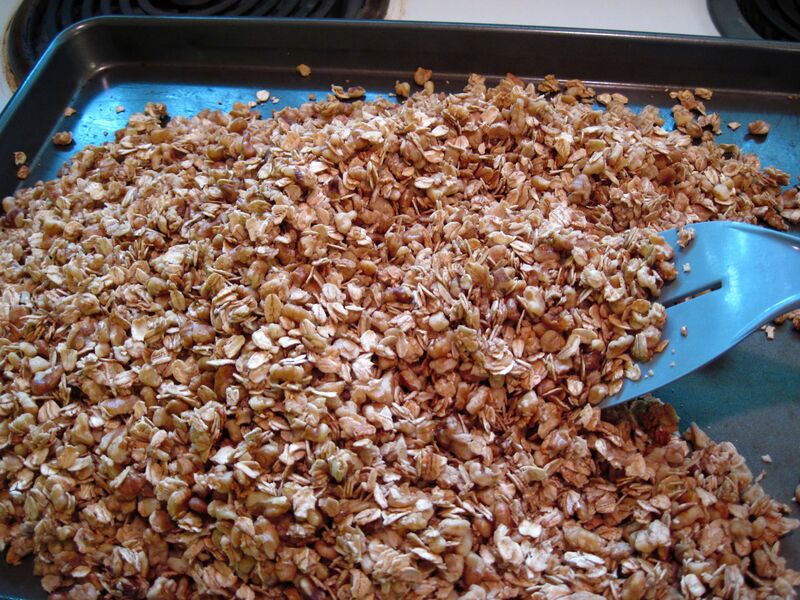 Spread the granola on a large rimmed baking sheet and set the timer for 25 20 minutes. 7. 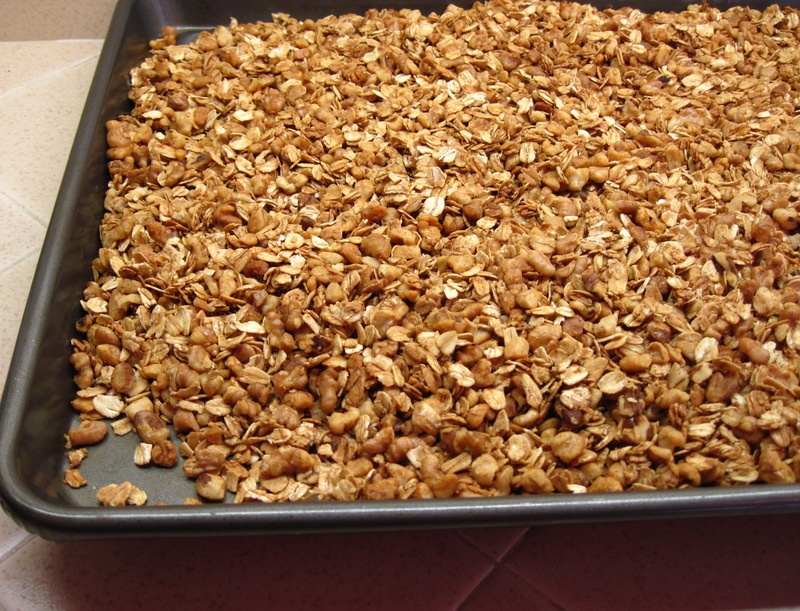 Stir the granola occasionally; remove from the oven when it is toasted the way you like it. It should take about 20 – 25 minutes; it took 25 23 minutes for my granola to be done. 8. Stir in dried fruit, if you’re using it. 9. Let the granola cool on a wire rack. When it’s cooled off, store it in the refrigerator. It keeps indefinitely. Looks good….i also prefer home made…. 🙂 God Bless….